Focus 52: "Line It Up"
The prompt for this week was “line it up” and this being Memorial Day, I thought what better than to show a bunch of soldiers lined up, doing what they do best…protecting our freedom. I knew that I wanted to find a touching photo online, perhaps a somber looking sunset with a flag at half mast while the silhouette’s of soldiers lined the bottom of the photo. But, as I was perusing Google Images for ideas, I saw this photo. I tried to find out who the original photographer was, but to no avail. This, for me, was a beautiful way to endorse the prompt, salute Memorial Day and remind everyone that at the very basest level of any soldier is their heart. Their ferocious, lion strong heart. They are brave, true enough, but they are also tender, putting their job above their personal needs, the needs of their family and friends and above all, their own lives. In my life, I personally have not been effected by the loss of a soldiers life, but a friend of mine lost her beloved husband last year, a mere two weeks after turning 30 years old. He was a baby. A child himself, practically, with four little ones of his own. Beautiful little ones, the oldest who may some day have faint, distant memories of his daddy…and the youngest, barely old enough to ever remember what her father looked like. This is Sgt. Keith Adam Coe. He was the beloved husband of my friend Trina, a girl I have known since she was barely out of high school herself. I had not heard from Trina in years, though my best friend was still in touch with her here and there over the years. Last year, my bestie told me that Trina lost her husband, Keith in Iraq. He was killed in action. I tracked Trina down on Facebook. We talked. We shared photos of Keith and her children and, we cried. 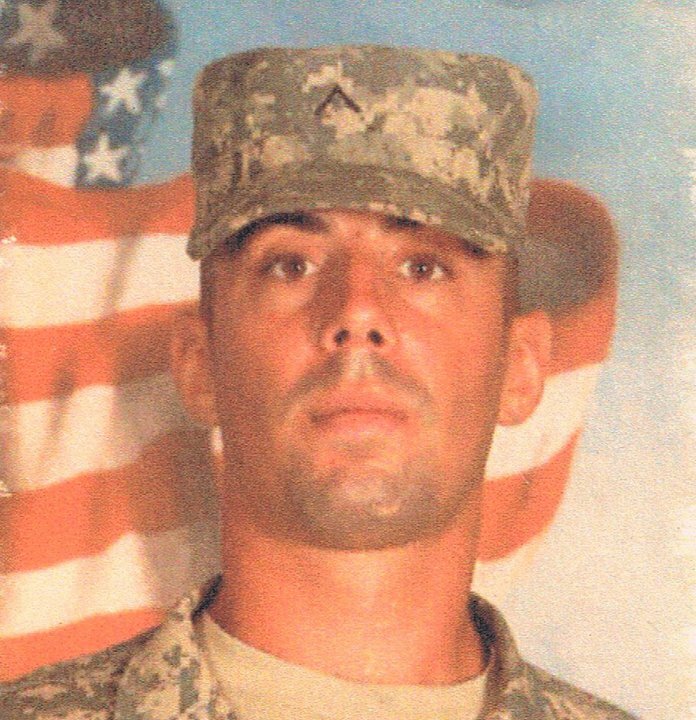 Keith was killed by a roadside explosion in Northern Iraq on April 27th, 2010. He was a dedicated and loving husband and father by all accounts. My heart broke having to hear my friend of over a decade relay the pain and anxiety she was now feeling with this loss. Scarcely thirty years old herself, she now finds herself widowed…the ultimate sacrifice of war. I think about Keith and his friends, the fact that Keith did indeed die a hero while rescuing a friend. It makes me both mournful and prideful. He died doing what he loved and a job he was proud of. He gave his all to protect his country, our liberties and our freedoms. I find myself realizing, as I get older, that Memorial Day is more than beers and backyard barbecues. It is about the men and women of the military giving the ultimate all to provide for their families and protect this country. No matter what your politics are, no matter what side of the war fence you sit on, it is so important that you support these men and women who are merely doing their job. You may not like the fact that we are at war. I sure as hell don’t, but I am not naive enough to believe that every soldier fighting in that war believes that they should be there fighting it either. However, they have a job to do, no different than any of us. They do their job even if they don’t necessarily agree with the politics behind it. They do what needs to be done, sometimes at the expense of their own personal values. There is honor in that. 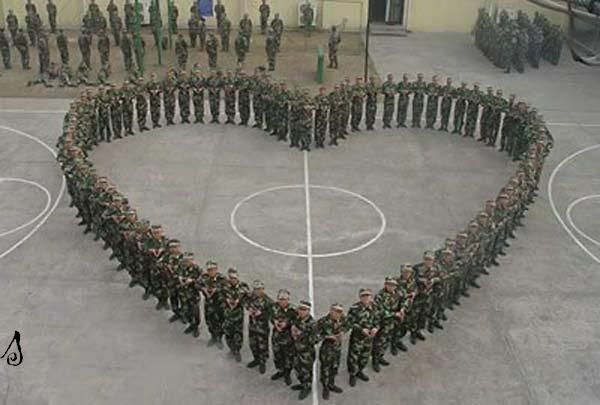 On this day, for this F52 project prompt of “Line It Up”, I choose to line up a group of soldiers in the shape of a heart and hope that Keith Adam Coe knows how much he was loved and is missed by his family every single day. I truly hope to never have to hear that any of my friends have lost their spouse to this war ever again. It hurts me, unbearably to the core, to know that Trina’s little ones will be growing up without their father. But, if I know Trina as I do, she will make sure that their daddy is incorporated into their lives. She will do fun things with them to honor him. She will keep photos available to her babies and, as they get older, she will share the more intimate details about their father with them. And, they will grow up to admire their father for his ultimate sacrifice, for his giving, loving heart and for being so very brave. God bless you and rest you well, Keith Adam Coe. And to all the spouses, significant others and children of the men and women who serve so diligently…God bless all of you as well. May your loved ones stay safe always. May they always be protected, loved and most of all, supported by their fellow Americans. Happy Memorial Day to all who have served. And please, if you come across a soldier in your travels today, offer him a handshake and a thank you for a job well done. It is the very least we can do for those who make incredible sacrifices so that we may enjoy our freedom. This entry was posted in 52, awareness, celebrate life, compassion, family ties, Focus 52, grief, kindness, Memorial Day, memories, old friends, R.I.P., suffering, support, war on May 31, 2011 by Cher Tushiah. I really love that picture up top. Mind if I borrow it sometime? What to say..Alot of your musings bring a smirk or smile to my clown makeup stained face. They help me get by during some of the really rough times as of late. This post in particular has sparked within me the need to convey a few things.. I spend an incredible amount of time training airmen and working for/with the USAF on a base in the states. My responcibility is to the preservance of data / sat communications for seventeen air and ground bases worldwide and now toss in four embassies for flavor. Not too long ago tragedy struck and a young man was sent home covered in the flag. We all stood along the route in which the funeral cars traveled from the flight line to his final resting place. I happened to look up as the family car drove past. Within it, a girl, no older than 19 sat, with babe in tow, face in her hands, sobbing uncontrolably. Something broke in me that day as I watched them drive on. I am very proud of those in uniform. I would never disgrace their sacrifice, nor speak ill of what they give up in the effort of what they give back. I just cant help but feel the anger about kids dyin. He just nodded, clasped my back as we walked back to our side of the base. The airman that I saw, died over in kabul at age 20. Anywho, forgive the cloud of dark and do celebrate the good parts. Wonderful posts by and by. Hope all is well, I may be headed out to the deed here in a month for thee month spin to lend a hand out there, we’ll see..
TMC – First of all, this is a spellcheck free zone. LOL NO one is marking your posts with a red pen, so write as you will and as you feel and know that you are safe from ridicule. I won’t allow or tolerate that. I am sorry your heart is so broken but I am proud of your introspection and re-evaluation of your life. I think as we grow older, we need to always re-evaluate our priorities. We change and so do our needs. And, I think we get to a point in our lives where we are more able to stand in the shoes of others and see things from their perspective. We are more willing to forgive them…and ourselves. It seems to me you have reached that point and I want to tell you that that is okay. You are allowed to make those changes, to keep growing and to continue evolving. Life is a classroom. We are continuing to learn long after our diploma is in hand. I think the bulk of the learning we do in life comes as we approach our own middle age, evaluate our mortality and realize that everything is fleeting. We are only here for a very short amount of time and we need to make the most of that time. You have to do what you need to do to attain happiness and as long as you are not doing it at the expense of others, well, no harm, no foul. Compassion is a beautiful thing…and you apparently have reached that moment in your life where you can feel that, even if you don’t necessarily agree with others. When a woman becomes a widow at 19 or 20 years old, that is tragic. Tragic. Her life was just beginning before it was ripped away from her. It will take her years to get over that. And it is always sad when a child will never get to know their parent because war stole them away from them prematurely. Thank you for such a beautiful, honest comment. Thanks for letting me share that story. I could not imagine her shoes, let alone want to walk in them willingly. I know at work here it really changed my outlook on alot of attitudes I once had, thoughts or actions I displayed before. The Airmen call me “Gramps” and in effect, they in turn are kinda like my kids. While they are here in my Group/Dept./Office, I teach em, joke with them, instruct them, help them out when they come to me with life issues. Scarry that they listen. LOL. But they are mine to take care of while they are here, and in time, they go to their next TDY or assignment. Best thing I’ve ever done to be honest. Even though I do not personally know that Airman that passed away, I have dreaded the day I would see one of “my kids” in that senario. Loss is loss no matter the degree of familiarity you are to someone. Life’s life, it’s a helluva ride with all sorts of highs an lows, and folks have to change to it, rise up, make those improvements to themselves, learn from their errors, just like you said. I get it, been putting it to practice and having good results. Once again, thanks for letting me share that with you. Hope you and the family are doing wonderful. Take care, be safe.